Home news The ascend of a world power that seeks ‘total control,’ and 4 other stories you might have missed. The ascend of a world power that seeks ‘total control,’ and 4 other stories you might have missed. In this occasional series, The Washington Post brings you up to speed on some of the biggest stories of the week. First up: Confidence, control, paranoia mark the Chinese party congress. The 19th National Congress of the Chinese Communist Party underway brings together 2,300 Communist Party members from across China. 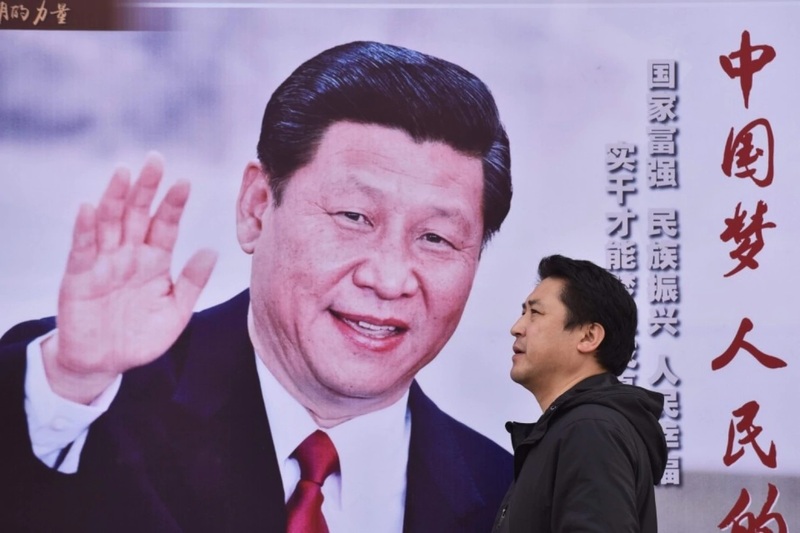 It's where the party is expected to formally grant President Xi Jinping another five years in power as general secretary of China’s Communist Party next week. The congress will also determine China's policies for the next five years. Is Xi Jinping trying to imitate Putin? Observers say a number of worrying signs indicate Xi doesn't want an increasingly open China. Instead, they think, he seeks a totalitarian quashing of dissent, Adam Taylor writes. Xi used his opening speech this week to set out a vision of total control — with the party guiding not only the economy and the Internet but also culture, religion and morals. U.S. decisions can still shape politics around the globe, however, even if not always as intended. Venezuela’s President Nicolás Maduro on Tuesday defended the results of regional elections this week, accusing the United States of fanning domestic opposition and dismissing claims of dirty campaign tactics. He said the U.S. criticism is strengthening his base. Some anti-government Venezuelans say the opposition aided Maduro just by running in the elections, lending credence to the optics of a democracy that many say no longer exists. After Iraq’s Kurdistan region voted for independence last month, forces controlled by the central government in Baghdad began taking back territory acquired by the Kurds over the past two years, according to Loveday Morris, Tamer El-Ghobashy and Aaso Ameen Shwan. The clashes have put Iraqi Kurdistan’s Western allies in a difficult position. “We’re not taking sides,” President Trump said this week. It wouldn't be the first time the United States had abandoned the Kurds at a critical moment. In the past, Washington has at times entertained and, in other moments, ignored the Kurdish question, as our timeline shows. Independence movements have also become a major challenge for the European Union, which has so far refused to support Catalonia's bid for self-determination. E.U. leaders want to avoid further alienating disgruntled member states that already think Brussels looks far too powerful. Although election results in places such as Britain and France halted last year's populist wave, and some far-right parties have dropped their demands to leave the bloc, there are fears the E.U. could fall apart if reform efforts fail. Austria’s elections last Sunday showed why. In many countries, victims of sexual harassment often have only two choices: either press legal charges against the perpetrator as part of a lengthy process with an uncertain outcome, or ignore the offense. France is now trying to establish a third option that was recently introduced in Finland: on-the-spot fines. The proposal has been discussed for weeks but it gained new momentum after sexual harassment allegations against Hollywood mogul Harvey Weinstein resulted in the global #MeToo social media campaign this week. Karla Adam summarized the global wave of revelations and revulsion over Weinstein.